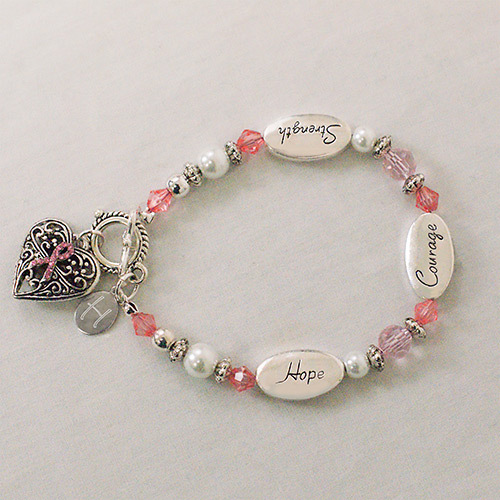 Honor your Hope, Courage & Strength for yourself or a loved one living with breast cancer when you wear this beautiful bracelet dedicated to spreading awareness for the cause. We'll custom engrave any single initial you choose on the silver plated charm with her single initial on one side. 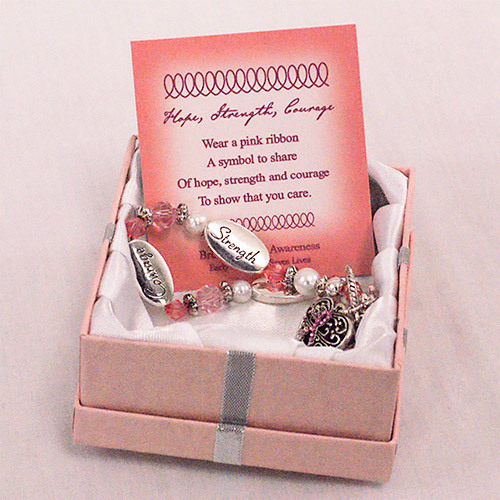 The words "Hope", "Courage", "Strength" are inscribed on the 3 silver plated ovals, strung among silver beads, pink crystals and pearls to make a stunning bracelet. Each bracelet is beautifully packaged in a decorative gift box, ready for gift giving. Bracelet comes beautifully packaged in a decorative gift box, ready for gift giving. 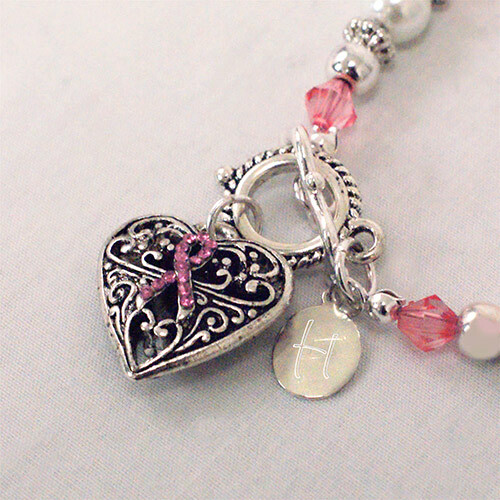 Crafted of metal with a silver finish, it features delicate glass crystals and a filigree heart charm. Bracelet is 8 “ long, flat with a toggle closure.